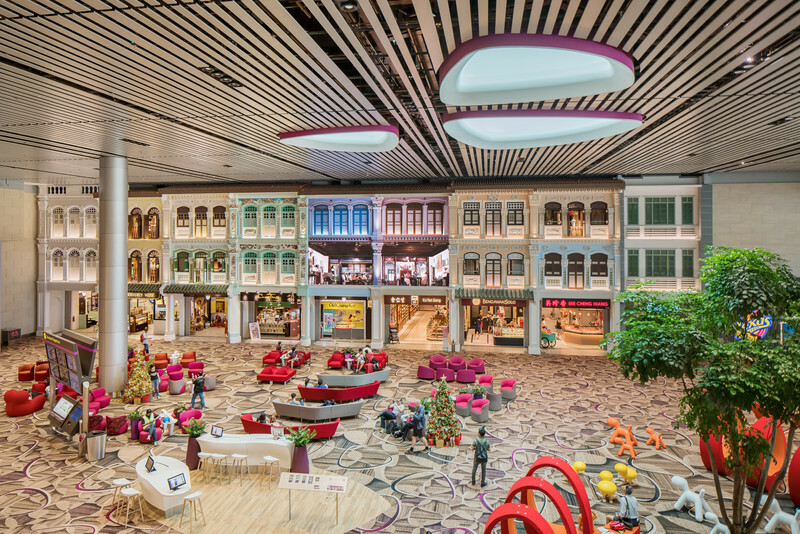 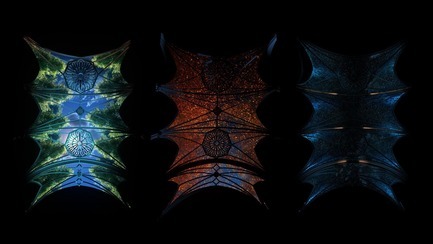 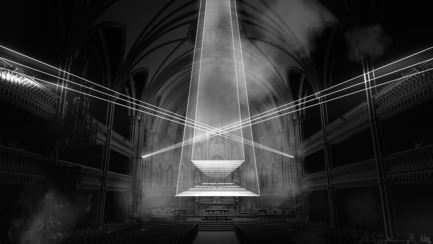 AURA is among Moment Factory’s most ambitious and creative illumination projects to date. 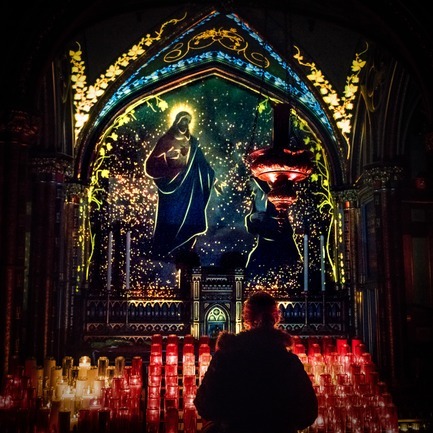 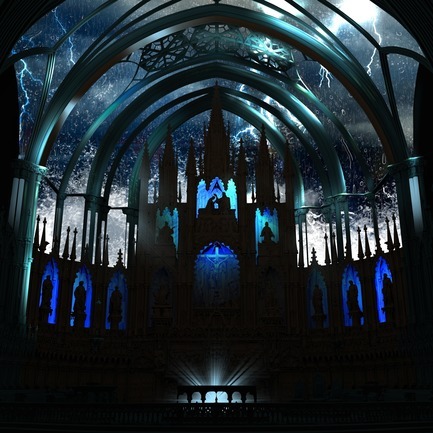 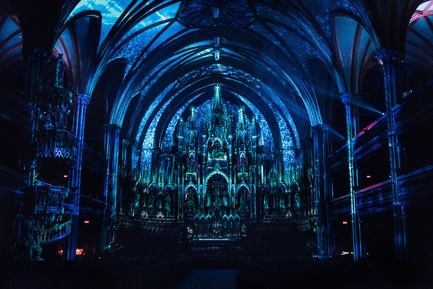 This 45-minute immersive sound, light and video projection-mapping experience is staged in Montreal’s landmark Notre-Dame Basilica. 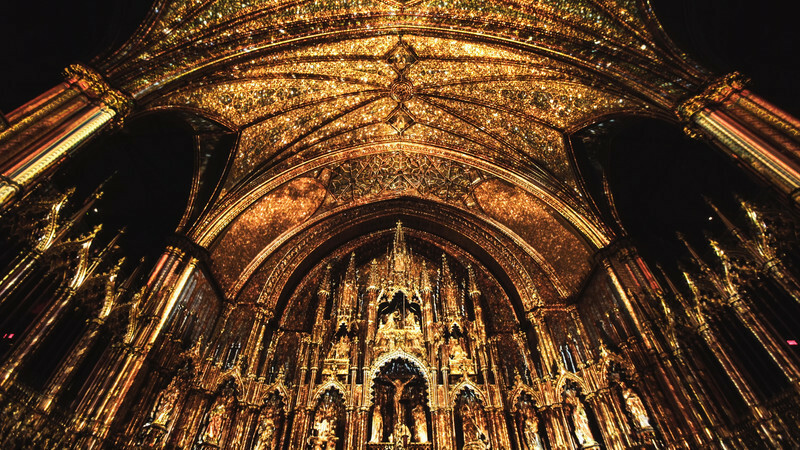 When James O’Donnell began his plan of the Notre-Dame Basilica in 1824, he envisioned a magnificent sacred space filled with rich colours and gilded details. 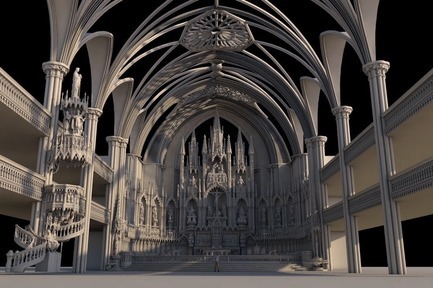 The Irish-American architect’s Gothic Revival cathedral is defined by soaring lines and towering spires designed to lift visitors’ hearts and voices into communion with the divine. 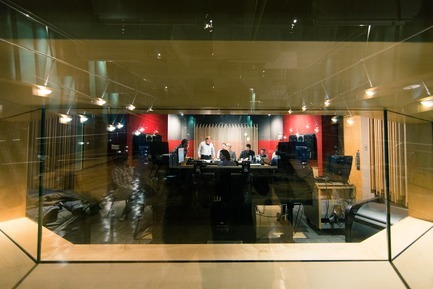 Almost two hundred years later, these aspirations continue to infuse the Moment Factory team’s approach. 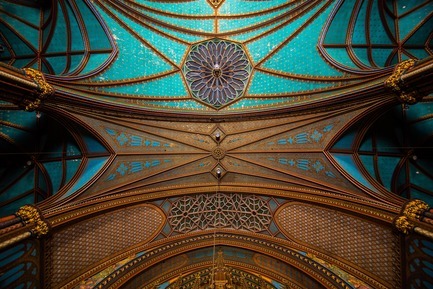 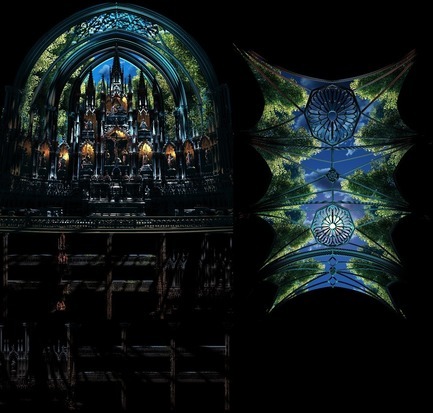 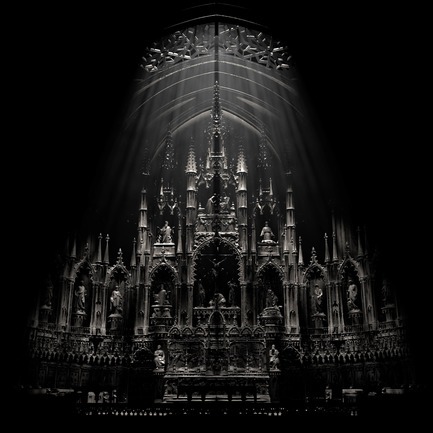 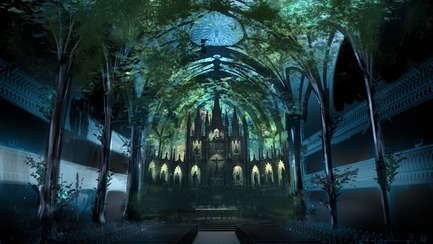 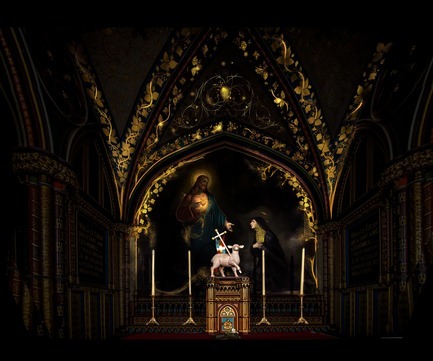 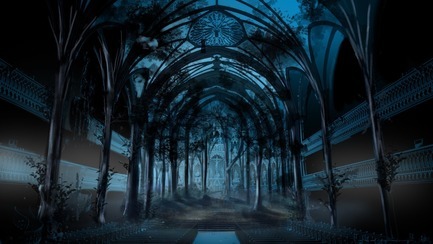 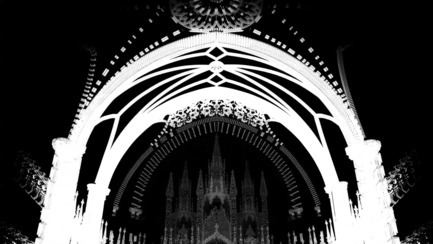 Each visitor experiences AURA in a unique way, becoming absorbed in a spectacle in which grandiose architecture, a layer of augmented reality and spatialized orchestral scoring are united beneath the building’s lofty rood screens. 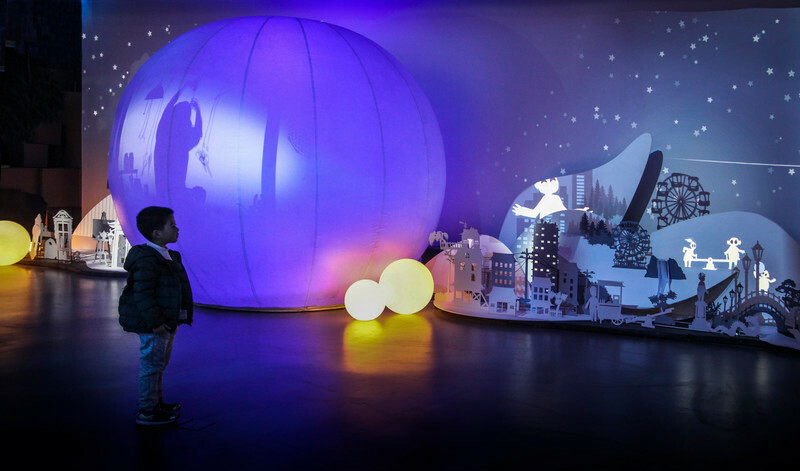 Engaging all of the senses, this energy transports visitors through a series of immersive tableaux that take them on an ethereal imaginative journey. 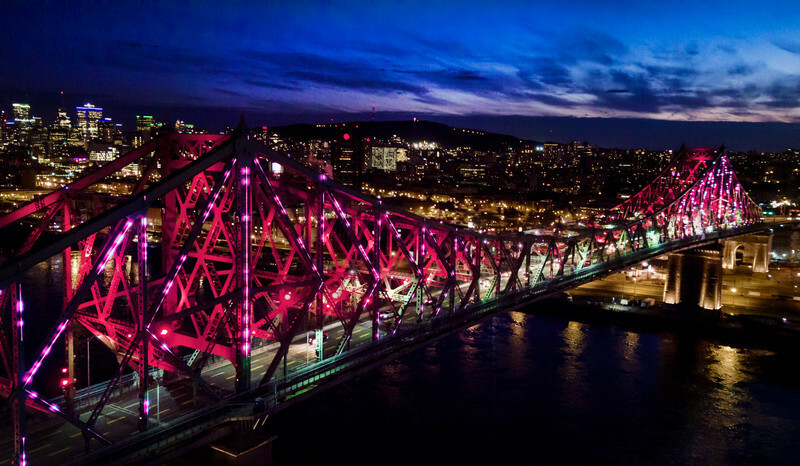 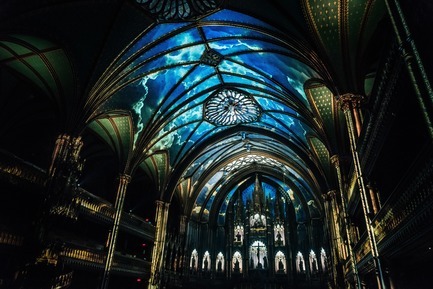 Initiated as part of Montreal 375th anniversary celebrations, AURA was born out of a desire to bring this iconic heritage landmark to life in a new way. 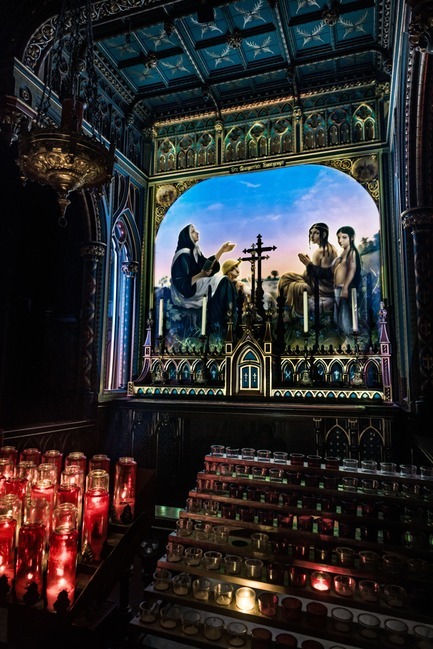 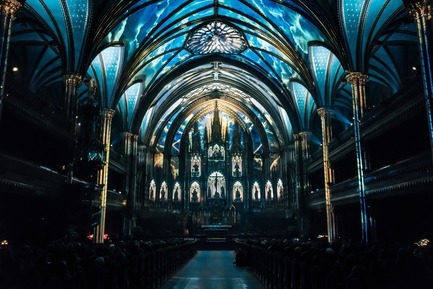 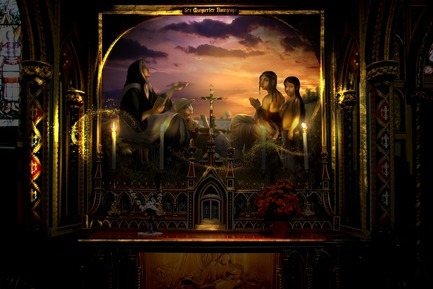 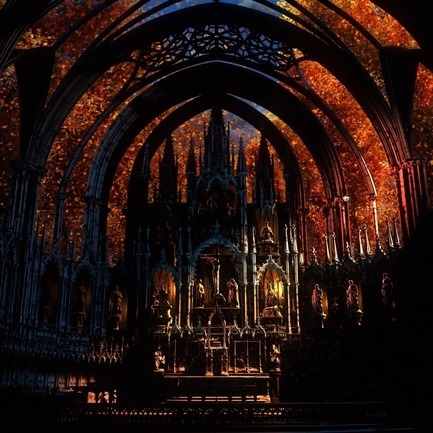 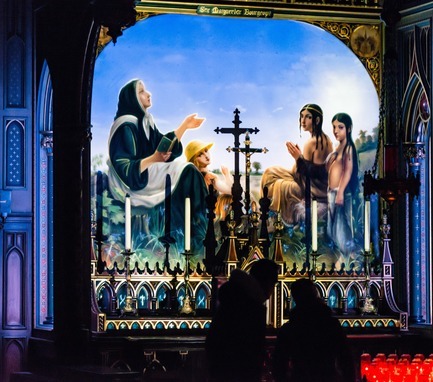 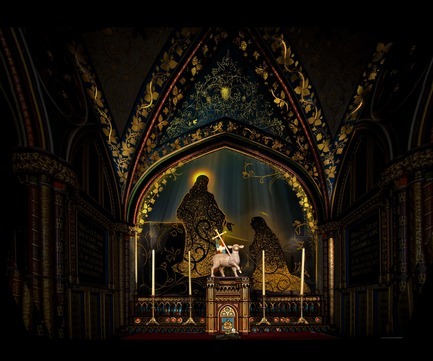 The project uses intricate projection-mapping technology to highlight the intricacy and beauty of the Basilica’s majestic architecture and sacred art while framing it as a dynamic part of Montreal’s history and spirituality. 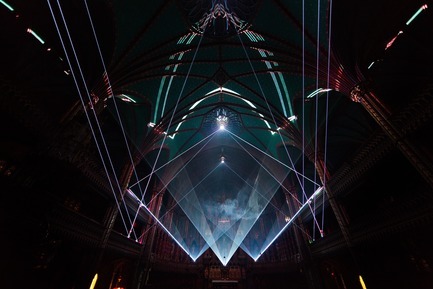 AURA is experienced in 2 “acts,” lasting approximately 45 minutes in total. 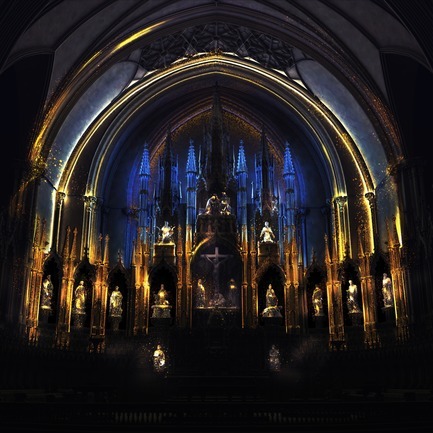 The experience begins with a self-led tour that lets visitors explore the Basilica, discovering fresh perspectives on the cathedral’s sublime artworks as these are accentuated by multimedia-enhanced installations. 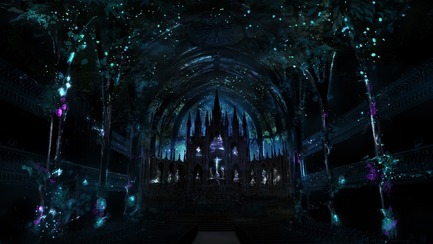 This portion encourages visitors to become enveloped in the space and its atmosphere before taking their seats as the cathedral’s interior is bathed in breathtaking animated projections. 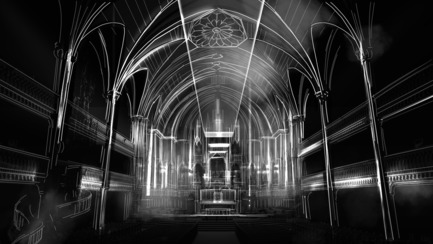 AURA emerged through productive dialogue between the Moment Factory team and the Fabrique de la Paroisse Notre-Dame, managers of the Basilica. 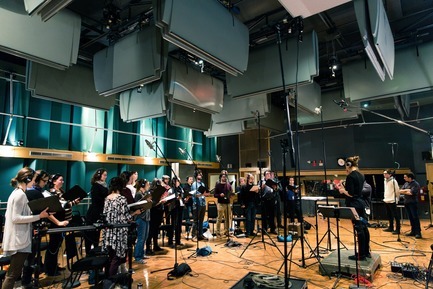 Since the project’s conception in 2015, over 100 people have worked in close collaboration to produce it. 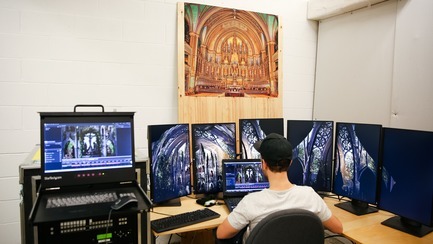 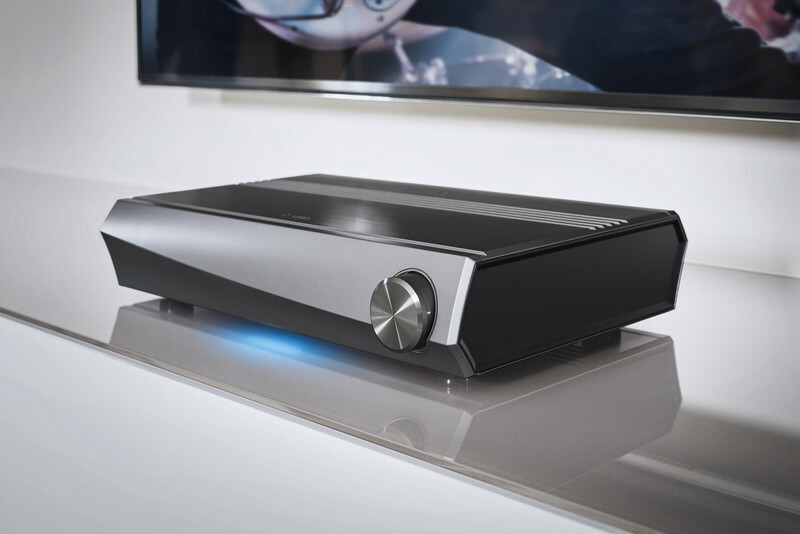 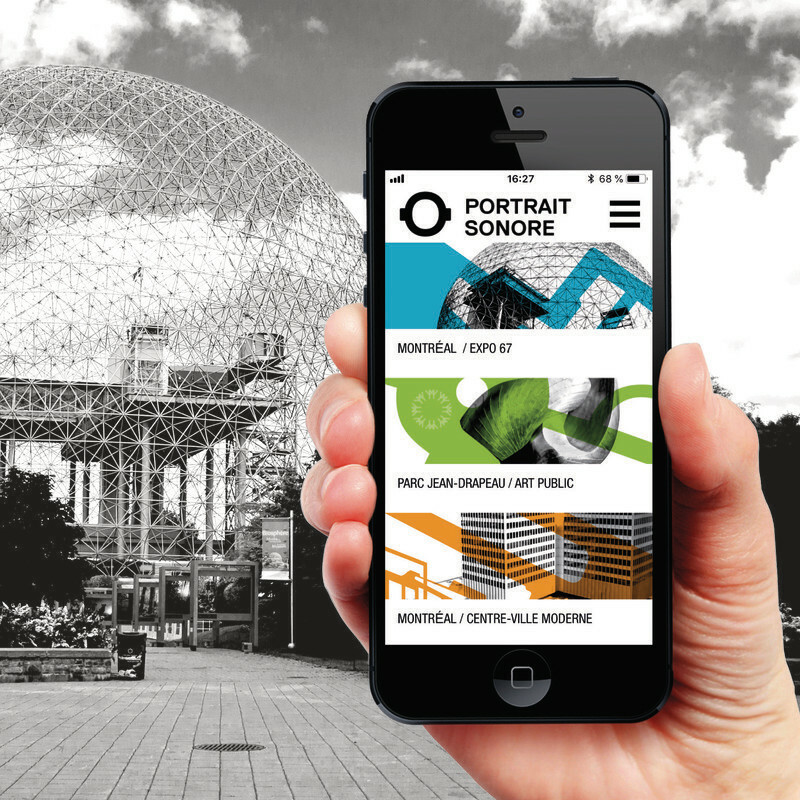 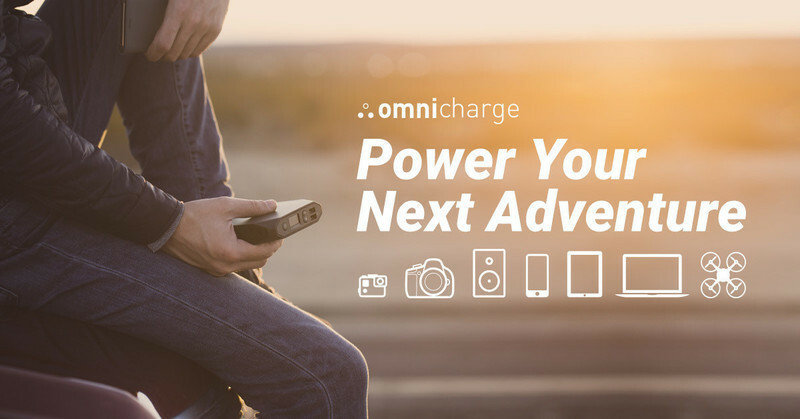 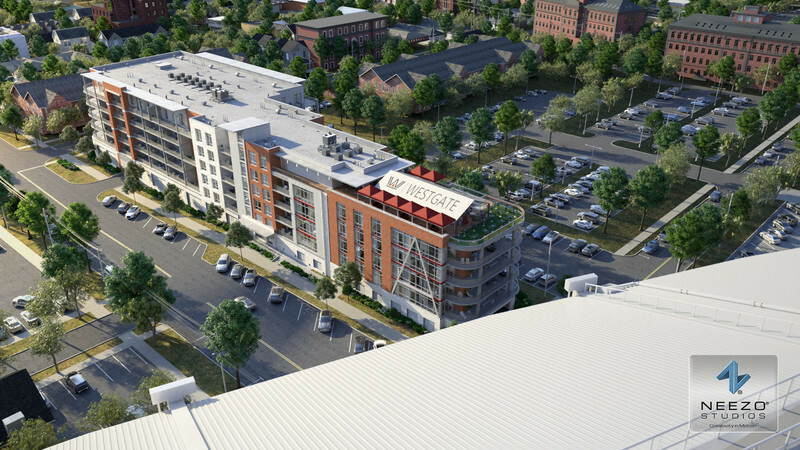 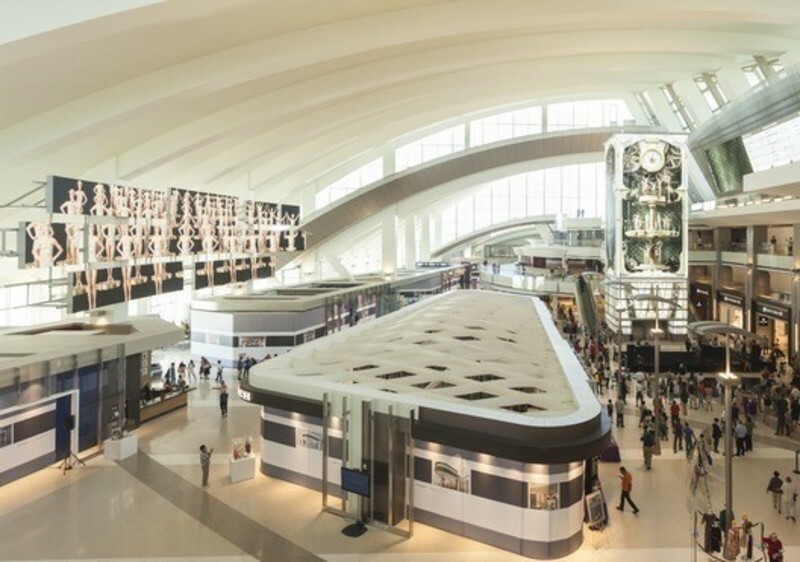 Achieving this vision required a year of musical composition and recording, four intense months of visual content production, 90 days of installation and a month of content integration and testing. 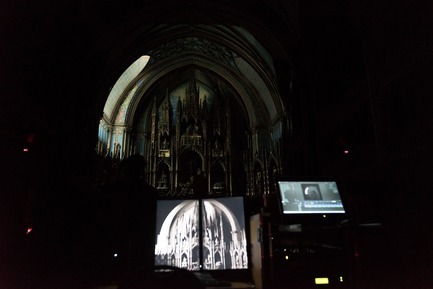 Because of the Basilica’s ornate interior architecture, the projection mapping system deployed to achieve AURA had to be fully integrated with the space. 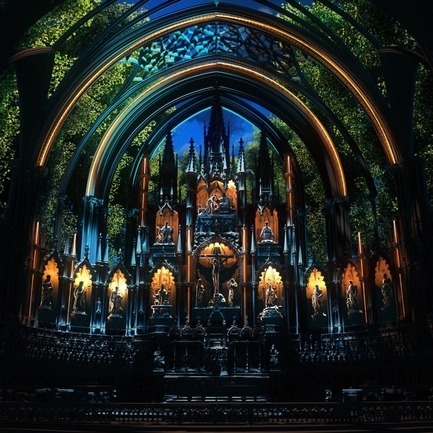 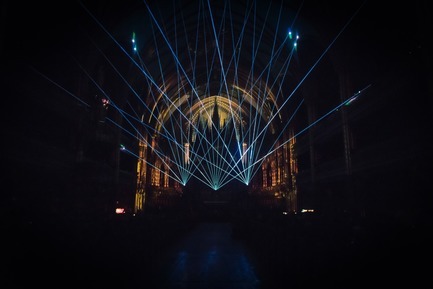 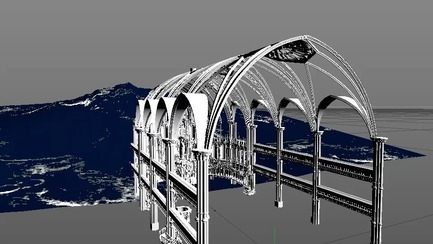 After extensive research, creative teams meticulously completed a 3D scan of the cathedral that acts as a complex digital canvas for the projections’ creative content. 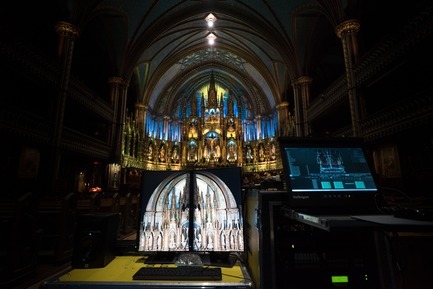 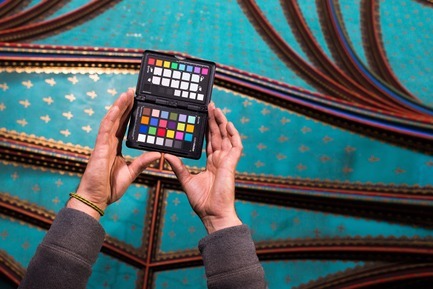 This sophisticated custom-built mapping system perfectly matches the Basilica’s structure, facilitating the seamless integration of video projections. 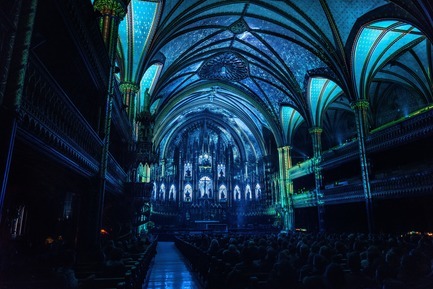 Video content is also adjusted to account for the space’s vibrant chromatic palette so that AURA’s colours enrich the Basilica’s existing details to produce a transformative visual experience. 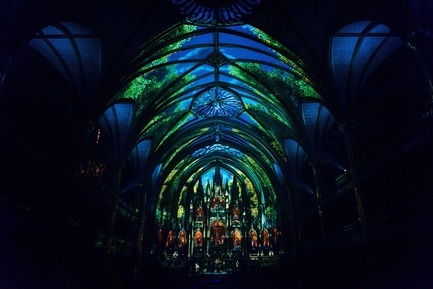 ● A total of 21 projectors are used to create the experience, 14 for the show portion and 7 to illuminate the exploratory introduction. 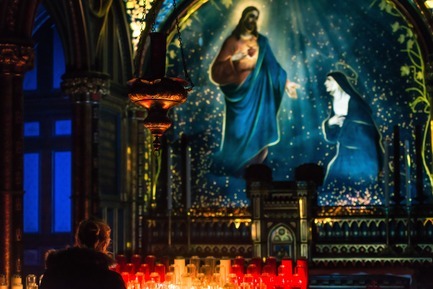 ● Approximately 140 lights have been installed throughout the Basilica. 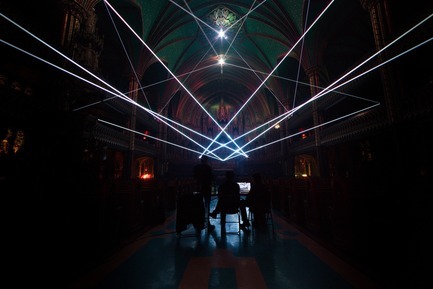 ● Four lasers and 20 mirrors are deployed for the laser scene. 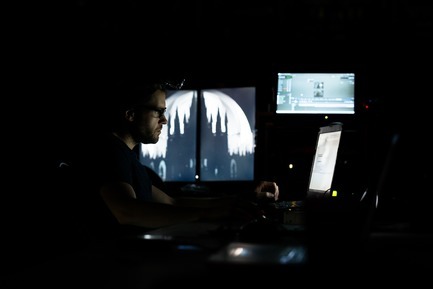 ● The on-site team is composed of a technical director, a lighting designer, a programmer, an integrator and a systems specialist. 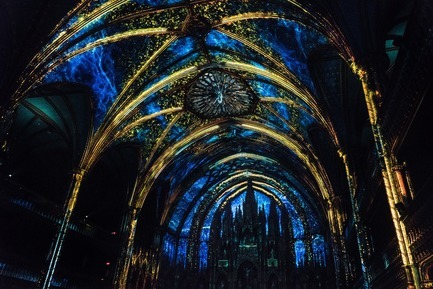 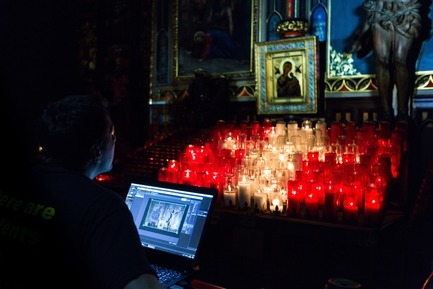 ● X-Agora, a specialized projection mapping software developed by Moment Factory, allows the team to create complex 3D maps of the Basilica’s concave surfaces and ornate carvings to smoothly deploy the projection experience. 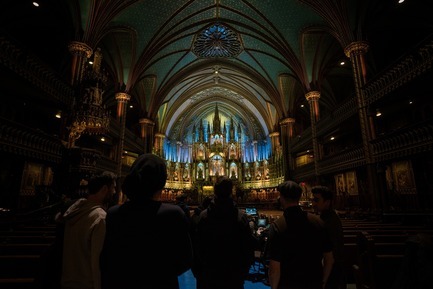 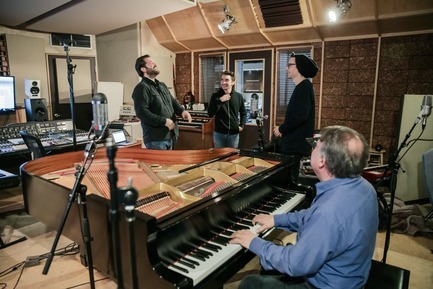 ● The soundtrack was composed by Marc Bell and Gabriel Thibaudeau of TroubleMakers. 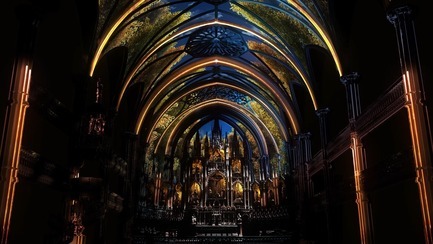 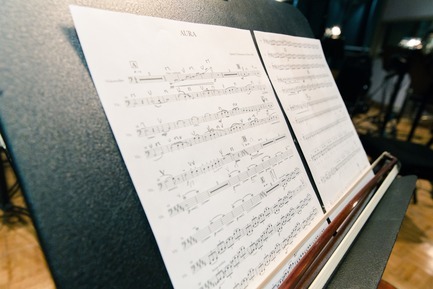 It features an original orchestral composition interpreted by 30 musicians, 20 chorists and the Basilica’s resonant organ. 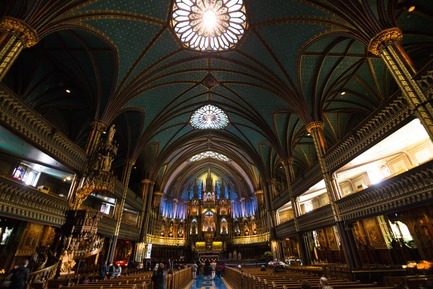 ● The Notre-Dame Basilica (www.basiliquenotredame.ca/en/) is one of Montreal’s most iconic tourist attractions. 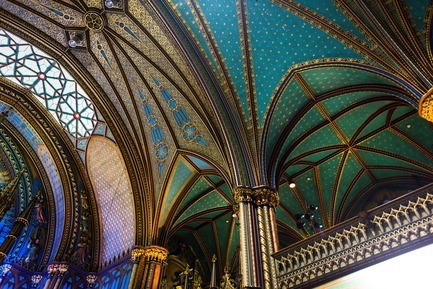 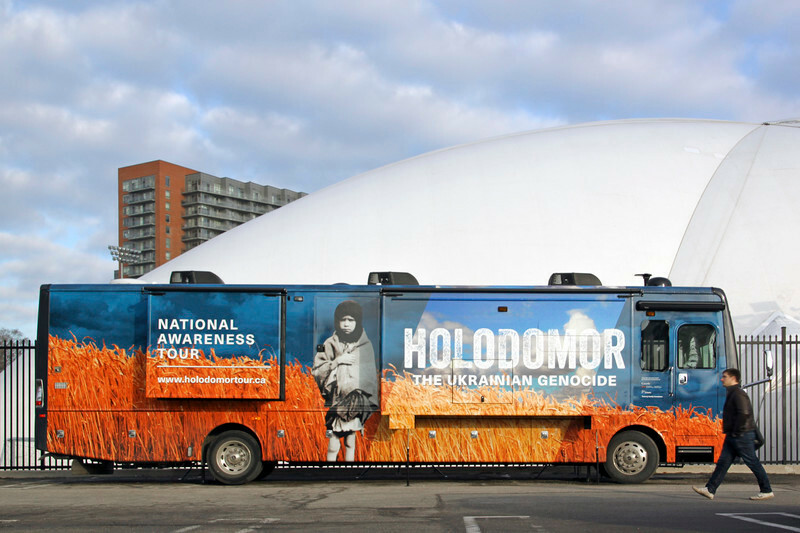 Approximately 1 million people visit this monumental heritage landmark every year. ● In 1989, the Basilica was designated a National Historic Site of Canada. 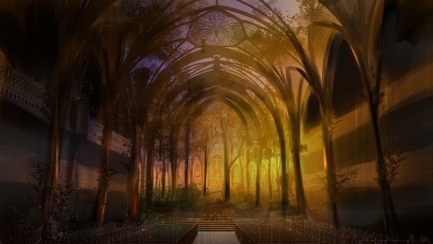 ● Most seasons, AURA runs twice every evening, 6 days a week. 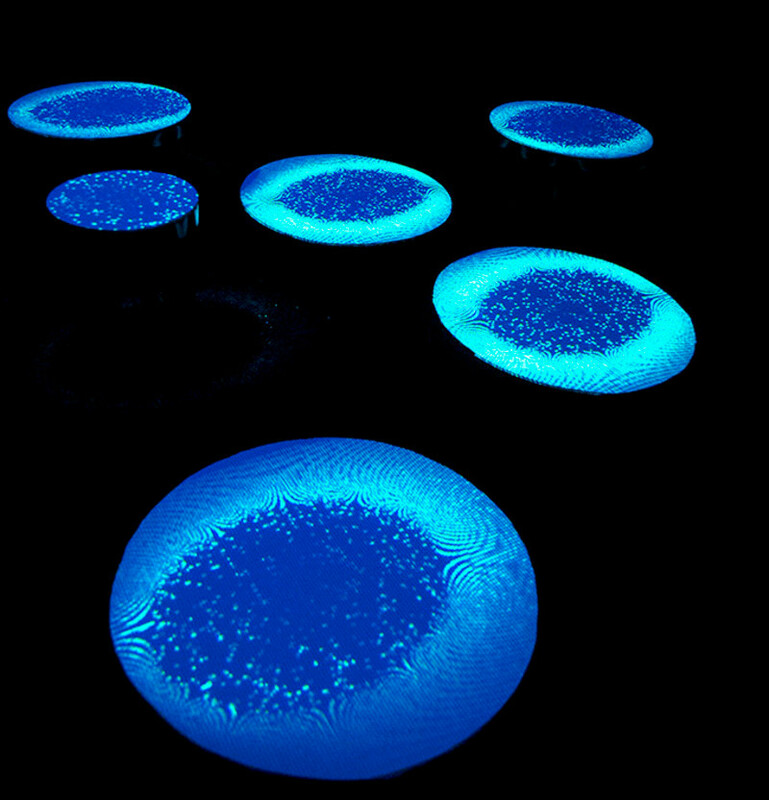 ● Approximately 600 people can experience AURA simultaneously. 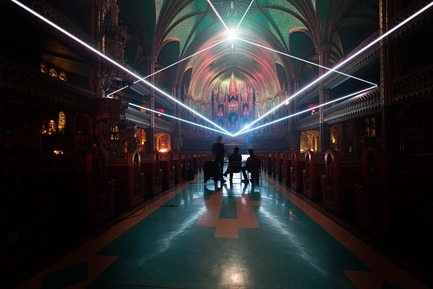 ● Since its opening in March 2017, AURA has been performed over 400 times, selling out frequently.